This book contains guided coloring activities that explore scientific climate data and research. 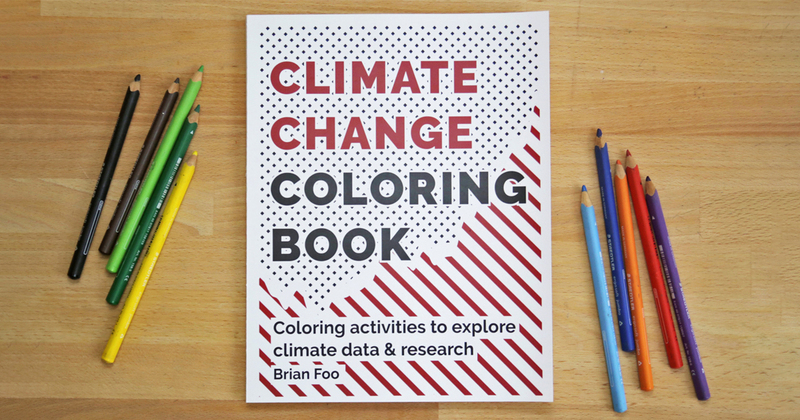 Learn, explore, and reflect on issues related to climate change through act of coloring. This PDF is suitable for printing on 8.5 x 11" paper and has 40 pages with over 20 coloring activities accompanied by written descriptions of the research and sources. You are free to use this file freely for printing for educational or personal use. Feel free to reach out to me for other uses if you are unsure.